Every kid dreams of flying a plane or a helicopter. 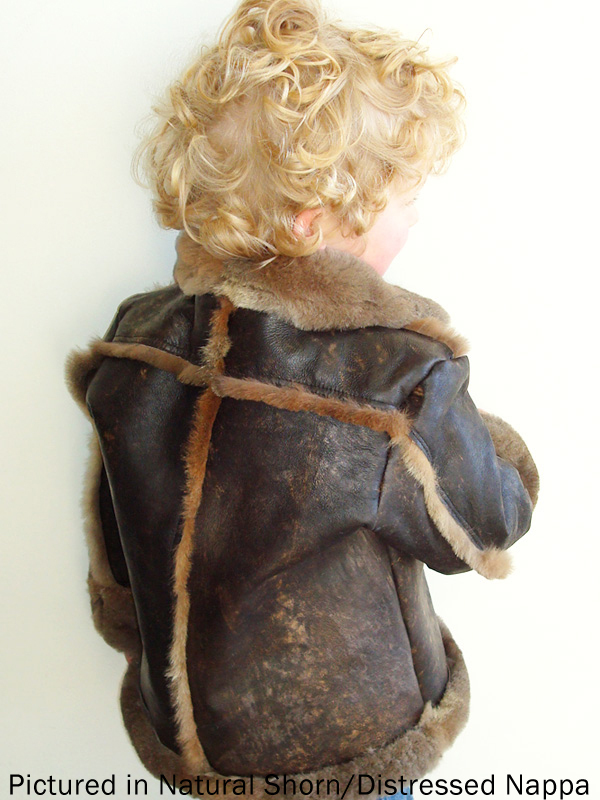 This jacket has a soft, shorn possum inner and a wipeable distressed nappa leather on the outside. The sleeves are constructed with turnback cuffs that can be rolled down when arms get longer. A heavy duty zip will ensure years of enjoyable wear. 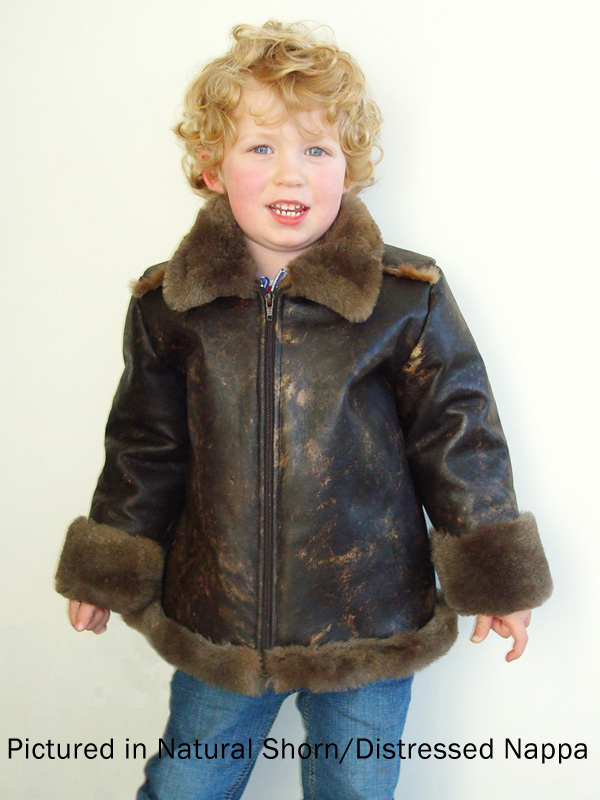 For the kid that has almost everything, this jacket is the "Top Gun" choice. The size small will fit most 3-6 year olds with a chest measurement of 56-66cm (22-26") with room to spare thereafter. Finished back measurement from neck to base is 48cm (19"). Let us know if you would like a smaller or larger size, and we will custom quote and make. We do not recommend possum fur for infants under 12 months old.